Tony is Professor/Chair of HR Management and Employment Relations, Birmingham Business School. Previously, he was Professor of Employment Studies and Subject Head of the Management Group at Bangor Business School, Bangor University. Tony was also employed in various posts in both academia and the private and public sectors. 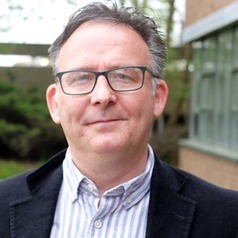 He was an Irish Research Council funded Research Fellow at the Whitaker Institute for Innovation and Societal Change, National University of Ireland Galway, and spent eight years as a journalist in Dublin with Industrial Relations News. His research interests include: employee voice/industrial democracy; workplace partnership; sociology of work, conflict and resistance at work; employment and skills in labour markets; the living wage/low pay. His research has been funded by several bodies (European Commission, Irish Research Council, Economic and Social Research Council, British Academy, Leverhulme Trust). He has published in journals such as British Journal of Industrial Relations, British Journal of Management, Human Relations, Human Resource Management Journal, Work Employment & Society. He is on the Editorial Board of Work, Employment & Society, and an external expert advisor for the European Foundation for the Improvement of Living and Working Conditions (Eurofound). Tony engages in regular knowledge exchange in various media, including: BBC Radio 4, The Conversation, The Guardian, i newspaper, Canada Globe and Mail. He also has external research experience and impact involving wider engagement with practitioners and policy-makers, through a range of employment relations/HRM projects with various organisations like the European Commission, Chartered Institute of Personnel and Development (CIPD), Ireland’s National Economic and Social Development Office (NESDO).